[Episcopal News Service] It may be coming soon to a theater or church near you. 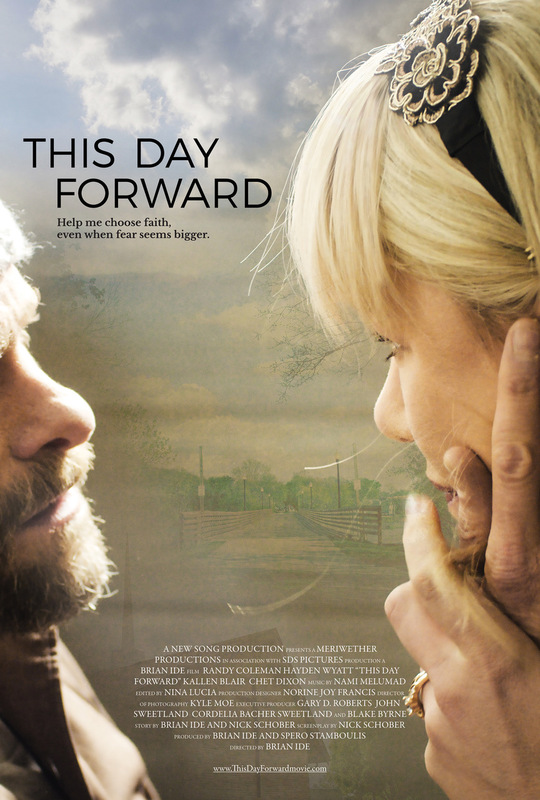 “This Day Forward,” which tells the story of an Iowa family’s struggles with cancer and faith, is the first feature-length movie produced by a filmmaking team formed by All Saints’ Episcopal Church in Beverly Hills, California. The movie was filmed in Waverly, Iowa, home of the real-life characters, Mike and Jen Jensen and their three daughters. Mike Jensen, a music professor at Wartburg College, began suffering from seizures in 2012, leading doctors to diagnose his brain cancer and sparking the family’s quest to find a successful treatment. “This Day Forward” was produced by a filmmaking crew from All Saints’ Episcopal Church in Beverly Hills, California. The filmmakers launched a two-month, cross-country tour of screenings on Sept. 15, starting in Waverly. “The response has been exactly what we prayed for when we made the film in the first place,” director Brian Ide said. During Q&A sessions after the screenings, with Jen Jensen participating, many audience members felt comfortable enough to share raw stories of their own fears and faith challenges. The project started about three years ago when parish leaders at All Saints’ were discussing what new ministries the congregation could take on based on the skill sets its parishioners had to offer. Several were involved in the film industry, including Ide, who serves on the vestry, so they formed a group to work on a faith-based short film. With that experience under the team’s belt, it turned its focus to a feature film. “We knew that we wanted it to be about faith journeys that were complicated and challenging,” Ide said, adding that those aren’t always the kinds of stories told in faith-based films. Ide had attended Wartburg College with the Jensens and was aware of Mike Jensen’s cancer struggles. 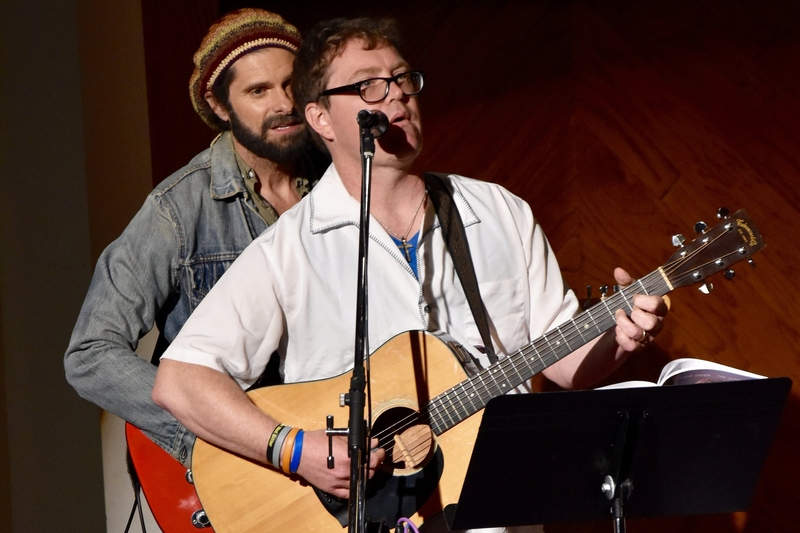 After his diagnosis, Jensen continued to serve as a worship leader in the family’s Evangelical Lutheran Church in America congregation, but his ability to work was severely curtailed after he suffered a stroke in 2016 related to his treatment. Jensen now needs 24-hour care but remains in good spirits, his wife said. The family embraced the chance to tell his story with the help of Ide’s team. She and Ide were in Columbus, Nebraska, on Oct. 1 for the latest in the series of screenings of “This Day Forward.” Next stops include theaters and churches in Iowa, South Dakota, Missouri and Wisconsin over the next two weeks. The schedule also includes screenings on Oct. 24 at St. James Episcopal Church in New York and Oct. 26 at Virginia Theological Seminary in suburban Washington, D.C. Despite the project’s roots in an Episcopal congregation’s ministry, its growth has been marked by its ecumenical approach, from the variety of churches hosting screenings to the film’s depiction of faith in a way that transcends an Episcopal or even a Christian perspective. The movie was backed financially by donations, which means Ide and his team do not need to repay investors and can use all proceeds to support the project’s charitable goals. 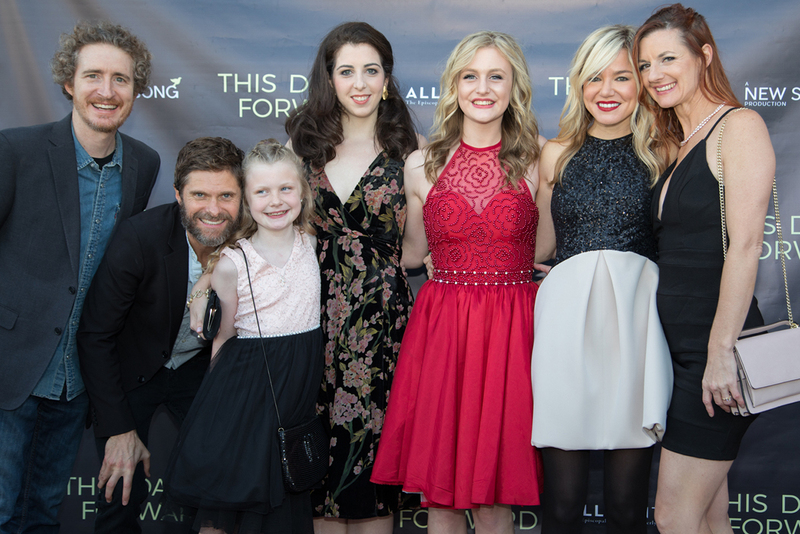 One of those goals is to enable All Saints’ to develop and promote more movies like “This Day Forward,” and a portion of proceeds will help the Jensens cover the cost of Mike’s treatment. The film’s screening tour aims to hit 60 cities in 60 days, and the filmmakers are still finalizing the schedule for the first two weeks of November in the South and West. To host a screening, either during the current tour or at a later date, click here.